Feel the magic of the Yamato, or "Devil Blade," when you wield our Devil May Cry Vergil Yamato Replica Sword. Vergil's trademark dark-forged blade, appearing in Devil May Cry, Devil May Cry 3 and Devil May Cry 4, is said to be able to cut through anything, as it is even sharper than a katana and is imbued with tremendous magic. 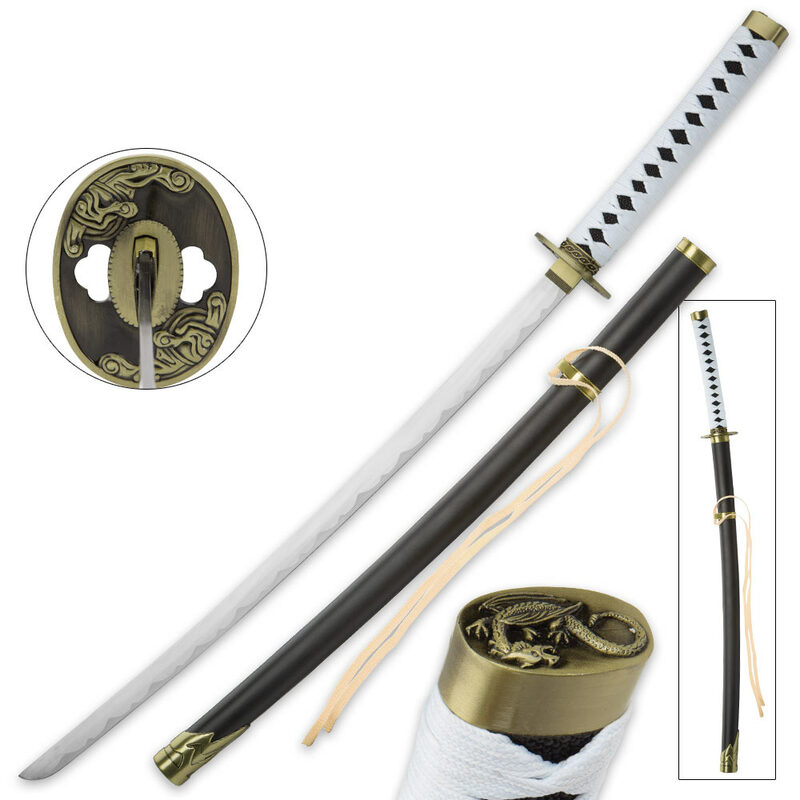 This incredible reproduction features a 26 3/4” carbon steel blade and a traditional white cord-wrapped handle. 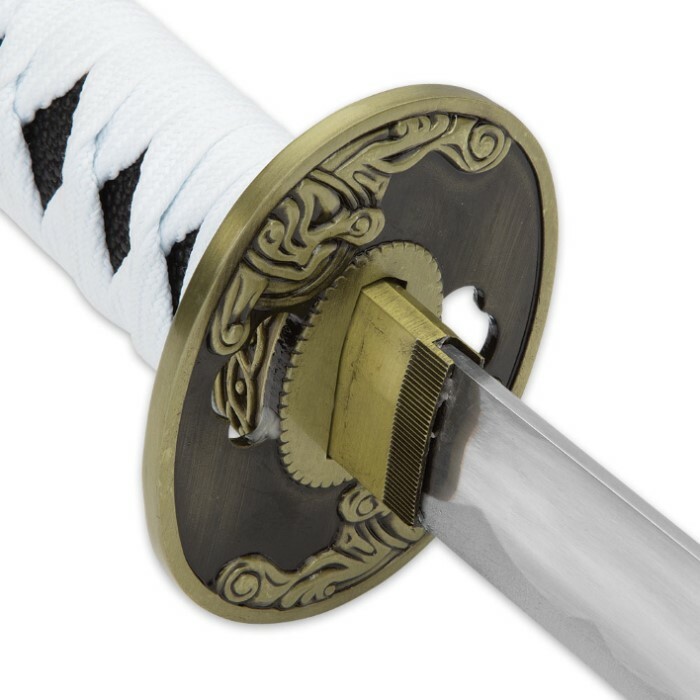 The polished, brass colored cast metal tsuba offers an intricate design, while the pommel features a dragon design. The scabbard features a matte black finish with a brass color cast metal scabbard mouth and scabbard tip. The scabbard also has yellow nylon ribbon as shown in Devil May Cry.